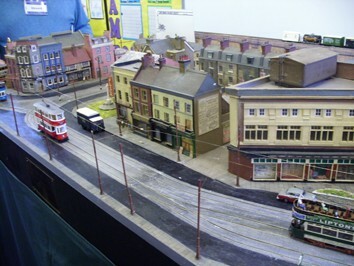 The layout was donated by the family of the late John Douglas Toop to Croydon Tramlink and displayed in their shop in George Street, Croydon while the new tram system was being constructed in the late 1990’s. After a number of years under the dust sheets, the layout is due to make a public appearance later in the year. It is time to replace the catenary (the masts that support the power wires above the trams). Work has started on 3D Printed versions and the first prototype is shown next to the layout. 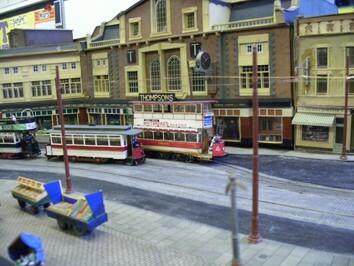 When the new trams began operation, it was removed to the Tramlink Depot offices and was about to be thrown into a skip when offered to the Croydon Model Railway Society. 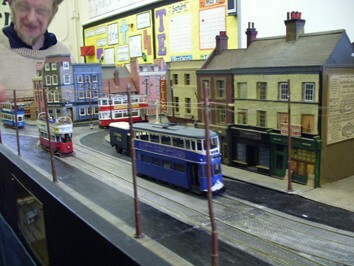 It remained in our clubroom for several years until some model tram enthusiasts decided to renovate it. 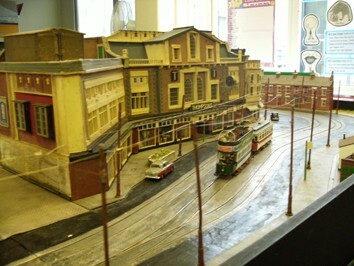 It was subsequently offered to Croydon Model Railway Society. 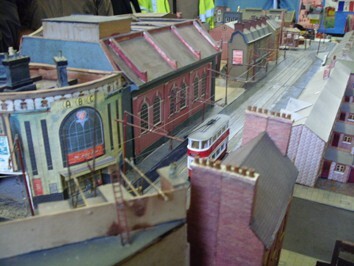 The layout comprises a continuous run double track, including a Depot. 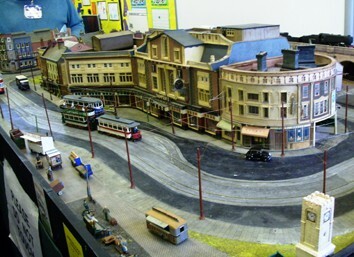 It represents a typical British town in the 1920’s to 1950’s. 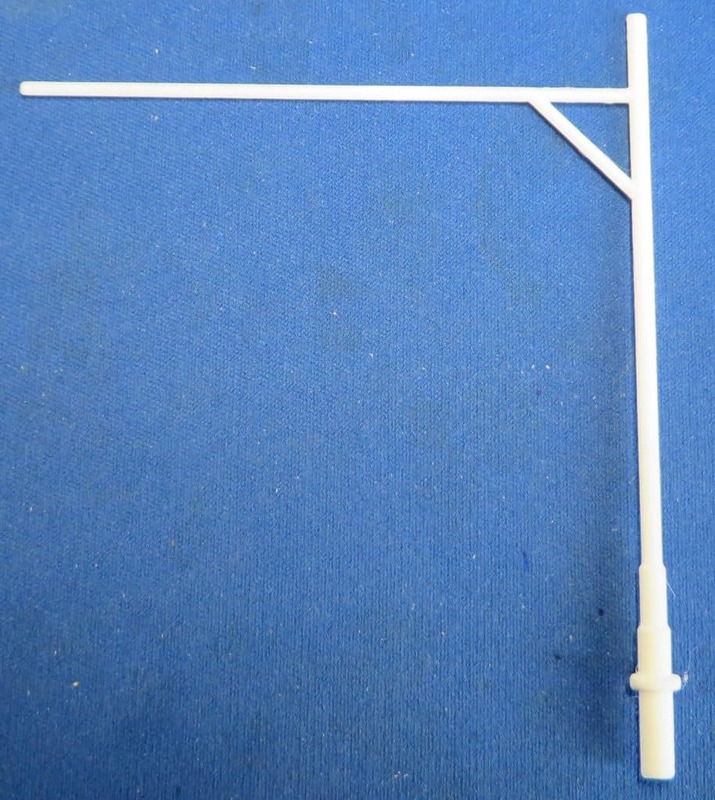 The layout measures 7 feet (2.13m) by 3 ft 6 ins (1.06m). 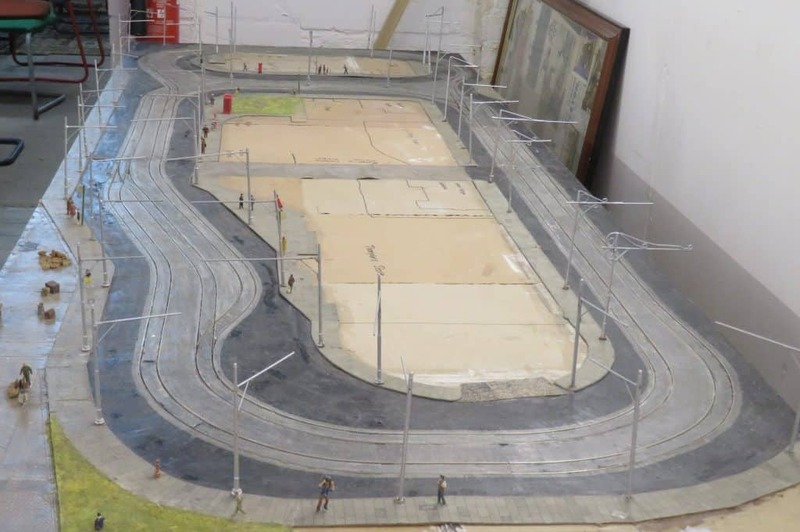 The baseboards have been completely rebuilt, with modified track layout comprising a continuous run double track, and extended to incorporate a Depot. This gives greater operational flexibility for exhibitions. 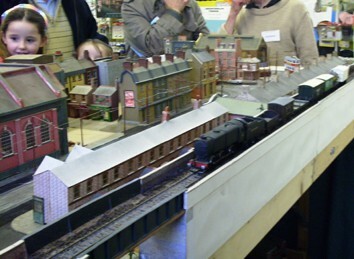 A rear scenic extension, with a railway on a viaduct, has also been added to give the impression of depth. Most of the original buildings have been retained, with others added where necessary. Further modifications are in hand to keep us modellers occupied! 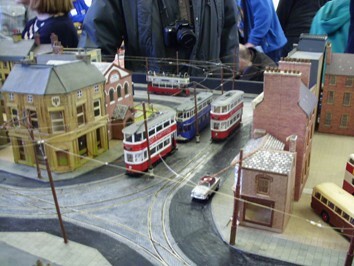 The layout represents a typical British town scene from the 1920’s to the 1950’s, when many medium sized towns had their own municipal-owned tram system. It does not represent a specific location, allowing a variety of trams to be run. Alternatively, it can be tailored to suit the exhibition to which it has been invited, such as the London area, Black Country, Lancashire, Yorkshire or the North East. The layout measures 7 feet (2.13m) by 3 ft 6 ins (1.06m) plus 2 ft operator space on the left.